We Specialize in Birthday Parties! 2-8 people - 1 hour - $50 per person, $40 for those under 12. $70 rental for half day/4 hours. $100 rental for one full day/8 hours. Reservations are required. There is a 24-hour cancellation policy. 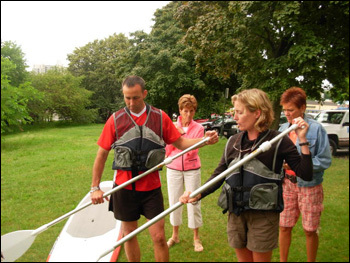 Guided tours start with a lesson, before it is time to explore. 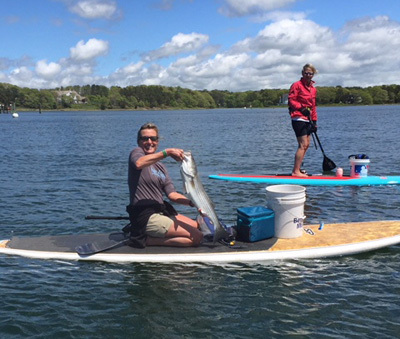 Your guide will make sure this is your best Cape Cod outdoor experience. Explore a body of water, enjoy nature, and stop on a secluded beach for lunch (bring your own) or a mid-afternoon snack and swim. 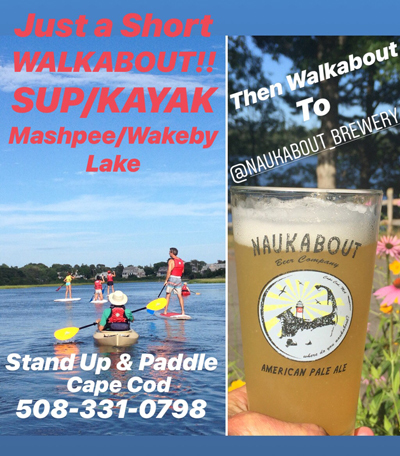 Most outings are in the Osterville, Centerville and Hyannis areas but we do go to bodies of water in other towns and villages. Reservations are required. Call for reservations and information about times and rates. There is a 24-hour cancellation policy. It will be under the instructor's discretion if 12 years and younger will be allowed on their own individual board (for safety reasons). Approximately 2 hours, $125 per person. Wednesdays, Saturdays and Sundays. 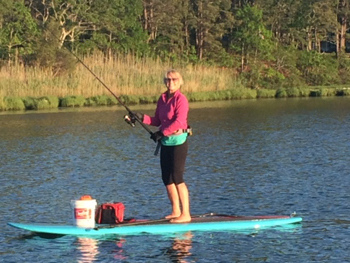 Paddling during a Full Moon on the Centerville River. Must have had a lesson and a couple hours of experience. $80 per person, equipment provided. (Minimum of 4 people, maximum of 12.) Approximately 2 hours. * If full moon dates become booked, we will add another night before/after the actual full moon. Bathing suit or shorts and T-shirt, hat, sunglasses, water, sunscreen, and towel. *REQUIRED water shoes or old sneakers. You must be a good swimmer. 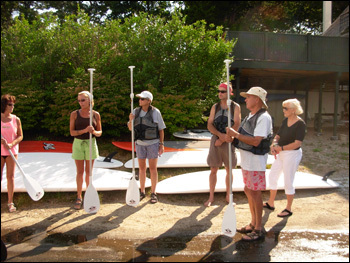 © 2010-2019, Stand Up and Paddle Cape Cod. All rights reserved. 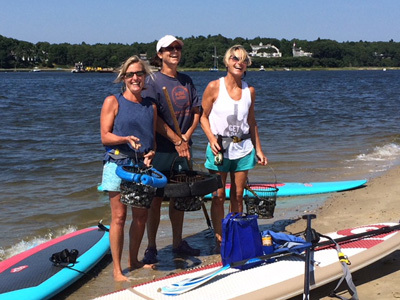 Stand up and paddle tour locations include rivers, lakes and ponds in Centerville, Hyannis and Osterville, as well as anywhere else there is water. 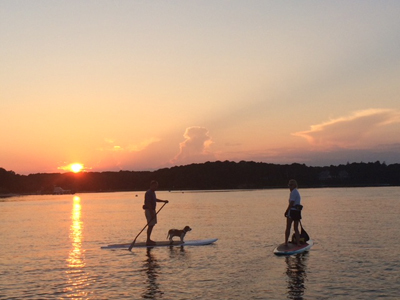 We also rent SUP boards!